LFF Contributing Editor Prem Sikka led the team behind Labour's latest economic policy - and explains why it's essential to turn the UK's economy around. The Labour Party’s commitment for mandatory presence of employees on the boards of large companies is the first necessary step in changing relationship between corporations and society. The policy is built on the recognition that only stakeholders with long-term interest can help to build a sustainable economy. 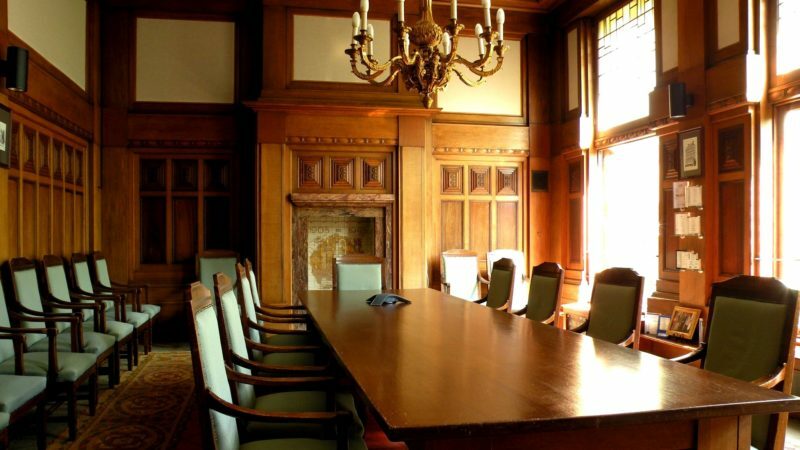 Directors directly elected by employees will bring a different perspective and challenge the short-termism ‘groupthink’ that is so prevalent in British board rooms. The change – for companies with more than 250 employees, as defined by the Companies Act 2006 – is necessary to enable companies to focus on the long-term. Here’s why. The shareholder-centric model of corporate governance has done enormous damage. Directors are under relentless pressure to increase short-term returns to shareholder by sacrificing employee wages, investment in productive assets and research and development. Employees’ share of GDP has declined from 65.1% in 1976 to 49.14% in 2017, the lowest recorded. Income security in retirement has been eroded as most defined benefit pension schemes have been closed to new staff. The effects of the erosion of people’s purchasing power are evident in the high street as many established companies have gone bust. Yet businesses remain dedicated to short-term shareholder returns, regardless of the consequences for other stakeholders and society. Despite the recession, in 2017, FTSE100 companies’ dividends soared to £94 billion and the companies spent another £15 billion on share buybacks. Amongst developed countries, the UK pays out the highest proportion of corporate earnings in dividends. Only around 25 per cent of finance raised by companies is spent on investment, with the remainder split between purchasing financial assets, distributing to shareholders and keeping as cash. Most EU countries have sought to check short-termism by putting employees on company boards, as they have a long-term interest in the wellbeing of companies. EU investment statistics provide a stark contrast to the UK. On average, in 2017, EU countries put 20.1% of their gross domestic product (GDP) into long-term productive investment with Sweden at 24.9%, France at 22.4%. The UK, which has shunned all employee representation at company boards, comes in at 16.9%. Short-termism does not bode well for renaissance of the UK manufacturing industry, which needs long-term focus on research and development (R&D) as there is a considerable time lag between investment, product development and sales. Manufacturing accounts for over 30% of GDP in China, 20% of GDP in Germany, 12% in the US, 19% in Japan and has shrunk to 9% in the UK. Since the 1990s, the UK expenditure on research and development (R&D) has fluctuated between 1.53% and 1.67% of GDP, well below the EU average of 2.03 percent and about half the level seen in Sweden. Most of these countries have pluralist corporate governance structures. In recent decades the UK has focused on financial services while much of the manufacturing is owned from abroad: the UK car industry is mainly owned by Japanese, German and Indian firms. Foreign owned businesses account for over 50% of the UK R&D expenditure. The level of R&D expenditure and the UK capacity to innovate is vulnerable to decisions made in other countries and domestic manufacturers continue to be hampered by short-termism. The shareholder-centric model of corporate governance, short-termism and the accompanying squeeze on investment in productive assets and R&D has manifested itself in low productivity rates and low wages. British employees work for longer hours each year than their counterparts in Austria, Denmark, Finland, France, Germany, Luxembourg, Netherlands, Norway and Sweden, all with a statutory requirement to have employees on company boards. The official UK estimates are that the output per hour worked in the UK is about 16% below the average for the rest of the G7 advanced economies, while the UK productivity is around 27% below that of Germany as the UK makes a smaller investment in assets, research and development and staff upskilling. The Confederation of British Industry (CBI) will no doubt oppose any democratisation of corporations. Just like the minimum wage, gender equality and health and safety laws, worker representation on company boards it will need to be imposed in the face of opposition, to build an economy that serves society rather than just executives and short-term shareholders.